If you are a camper, you know how fun and relaxing it is. We do it to get away from the real world and to spend time with people with the same mindset. For adults, we are happy sitting around with a cup of coffee in the morning and hanging out by the fire with a beer at night. If you have kids, you are probably aware where I’m coming from on this post. Kids are not as “relaxed” as us adults and to be truthful, I bet you have gotten a little bored during the day. 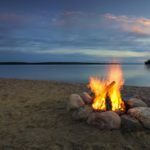 So in this post, we are going to go over some ideas of things to do while camping. Depending on the type of camping you do, this list can differ. We will cover some ideas for both tent/hiking camping trips along with RV campers like we are. 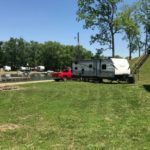 If you are like us and RV camp, you may have a yearly campsite like us or travel and hit state parks. Either way, there are some things that you can do to keep the kids engaged and the adults happy as well. Most campgrounds has activities they offer. 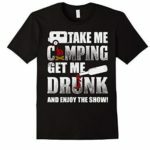 You may be surprised when I say this but it true, most campers do not take advantage of most things at the campground. I would have to say that 90% of parks has a pool. If camping during the summer, use it. Take the kids up every day for at least an hour or two. If the adults don’t want to swim, you can get some sun and relax. Some placed like our campground has a covered area where adults sit and have a couple of drinks while just chatting. We even have a TV where we can watch the game or race while the kids swim. The point is to let the kids have some fun too. 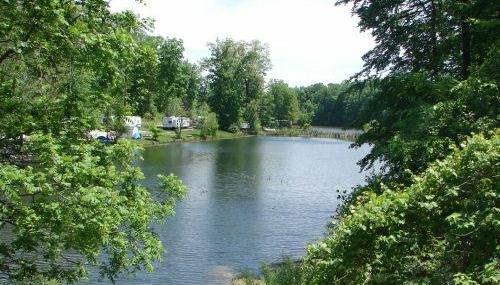 Most RV parks and even state parks have an activity list you can get when checking in. These list all the activities going on that week. Like above, most people don’t even look at it. Yes, most are kid oriented but not all. Check it out and get involved. It gives you a chance to meet new people while the kids are doing the same. A couple times a year we venture out and stay at a Jellystone park. They have a ton of crafts and activities all day long. 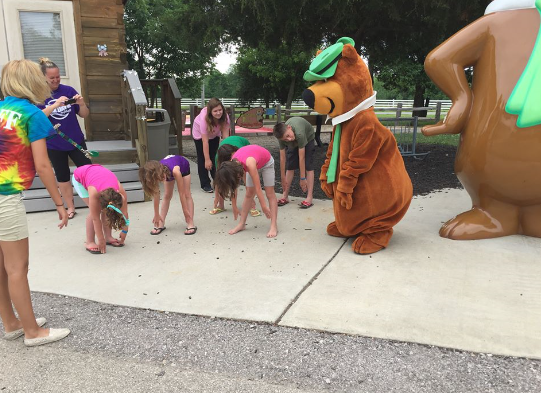 If you have kids, you may want to see if there is a campground near you. This can really be done if RV camping or tent/hiking as long as you have room to carry it. Metal detecting is not only fun for the kids, it is also really fun for adults. Who doesn’t like a good treasure hunt. People lose things all the time while camping from rings to coins. Why not spend a little relaxing time searching for it? If you are near woods, I can almost guarantee that not many if any has canvased with a metal detector. Metal detecting isn’t thought of much when thinking camping. I’m here to tell you that it is fun. If you happen to be camping a beach, it is really fun. People lose all types of stuff at the beach. It doesn’t have to be an ocean beach either, any place with sand and swimmers is almost a guarantee find. 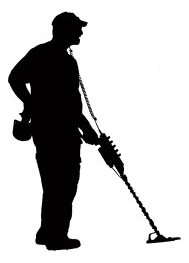 The one thing I will mention about any type of metal detecting is to make sure you get at least a mid-range metal detector. Do not get a toy unless you want something for young kids to do while “helping” you. I suggest checking out metaldetectorlist.com, they have some good recommendations. You remember as kid when adults put together a scavenger hunt for you and friends? They are just as fun today as they were back then. One of the upsides to this idea is you can do it yourself without needing the park set it up. Your kids will meet friends while camping, why not invite those kids and their parents? Have a bunch of fun adults? Why not put together an adult scavenger hunt? I have done these and they are fun. Nothing like tipsy adults running around acting goofy while looking for some hard to find items. There is no better way to enjoy sitting around the fire than to play a little music. Kids and adults alike will have a great time. Besides spending some quality time together, you can slow things down to get the kids ready for bed. I myself can’t play a guitar but do take a CanJo camping with us. A CanJo is a one string thingy made with a coke or beer can. 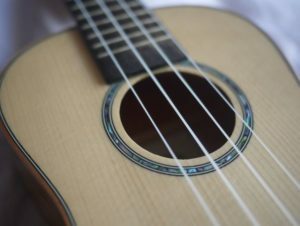 Yes, you can’t play much on it but you would be surprised on what you can play. My kids and wife actually make fin of me but I love it. This is kind of a no brainer but if there is water around while camping, go fishing… Kids love to fish and it is easy. Grab some worms and just go. I’m sure dad will be just as happy to get a line in the water. I suggest reading our post on the best kids fishing poles. Finding things to do while backpack camping is a little tougher. It depends on what you are into and what equipment you can take with you. However, here are a couple ideas you may not have thought about. Well, this is pretty obvious but think about it a little. There are other things in nature besides the view of rolling hills. Take a pair of binoculars and watch the birds. You will see many birds that you not see in populated areas. You may even see a Bald Eagle and they are BEUTIFUL! If you are out hiking, why not keep an eye out for deer antlers? They can be made into beautiful art and you are not killing a deer to get them. Deer shed their antlers yearly, they are all over the place, it just takes looking out for them. Do you know your mushrooms? If not, pick up a small pocket mushroom guide and keep it on you while hiking. Some mushrooms are expensive and as good as steak. Many people do this every year, why not take the opportunity to find your dinner while out? Have you priced Ginseng lately? It is ridiculous! If you find some that is aged, you can take them with you and make some really good money. One this that I will say it to make sure they are in season and make sure they are big enough to harvest. Ginseng takes years and years to mature and there are some pretty stiff penalties for people not following the rules. Like above, you can get small pocket books on Ginseng, where to look, local laws, etc. But please just make sure they are in season. No matter if you are RV or backpacking, the point is to stay busy and make sure everyone enjoys their self. You want your kids to remember good times while camping and want them to do the same with their kids when they get older.